Khors was formed in August 2004 by Khorus, former bass guitarist of Astrofaes. 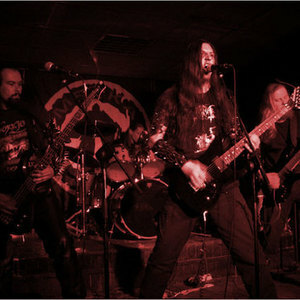 The band was accomplished with drummer Khaoth (Tessaract, ex-Astrofaes, ex-Hate Forest) and the guitarist HELG (Runes Of Dianceht) who also took over the vocals. In wintertime of 2004-2005 "The Flame of Eternity's Decline" was recorded with guest musicians - Saturious (keyboards, Nokturnal Mortum, Finist) and Wortherax (lead guitar, Finist, ex-Nokturnal Mortum). The band was accomplished with drummer Khaoth (Tessaract, ex-Astrofaes, ex-Hate Forest) and the guitarist HELG (Runes Of Dianceht) who also took over the vocals. In wintertime of 2004-2005 "The Flame of Eternity's Decline" was recorded with guest musicians - Saturious (keyboards, Nokturnal Mortum, Finist) and Wortherax (lead guitar, Finist, ex-Nokturnal Mortum). In April 2005 the album was released by Ukrainian label Oriana Music. October 2005 - Nort joined the band as 2nd guitar player. and Nokturnal Mortum, and also performance at festival Kolovorot in Kharkiv together with Dissimulation, Obtest, Nokturnal Mortum and ?????????. In February, 2006 record of new album COLD has begun. In one time with work above an album band in the spring of 2006 has visited with concerts the Ukrainian cities Rovno, Uzhgorod, Sevastopol, Simferopol, Chernigov and also the Russian cities Moscow and St.-Petersburg where have acted at festival " Unholy Storm II ". In October, 2006 album Cold has been completed. On December, 16th, 2006 he has been realesed by label Oriana Music. In the same day statement of band at festival " Kolovorot " took place. From the beginning of 2007 the band works above the third album "Mysticism". On May, 20th, 2007 the concert of band took place in Kharkov in support of the Ukrainian-Russian tour the Polish band Behemoth. There was show in Donetsk in July 2007 and Ukrainian tour together with Belorussian Thelena band in November. The year ended with the show in Khlmel'nitsky in 12.12 together with Russian Mad V and Fragile Art.